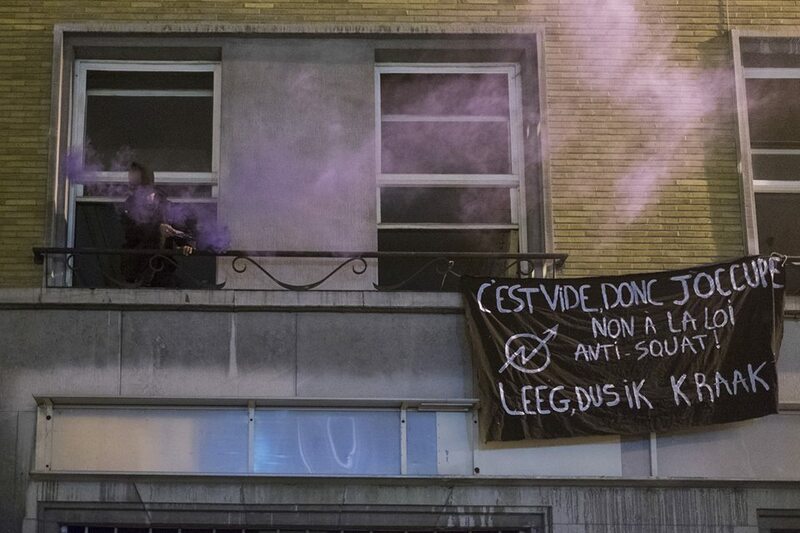 Home / Belgium / #Brussels Demo March 21: A roof for everybody! #Brussels Demo March 21: A roof for everybody! Call for a demonstration in Brussels, Belgium on March 21. Brussels Demo March 21: A roof for everybody! Because the housing crisis can not be ignored. There are between 15,000 and 30,000 empty dwellings in Brussels, while there are around 4,000 homeless people. 40,000 families are on the waiting list for social housing, with waiting times varying between 8 and 12 years. Lastly, rents on the private market have steadily increased in recent years. As a result, households whose incomes do not exceed € 1500 have to average 60% of their budget to rent. Because, in spite of this context, the government has passed an anti-squat law, which puts people in risks to go to jail for squatting empty houses to sleep in. Because this law appears in a general movement of repression: the constant criminalization of the undocumented and the individuals who are in solidarity with them, the installation of surveillance cameras in the streets, the police and military presence in the public space are as much clues to a desire for global control. Because applicable solutions exist (right of requisition, right of public management, …) or have been proposed incessantly by associations for the right to housing (consequent increase of the number of social housing, framing of the rents …). The authorities refuse to apply them. As for us, we continue to squat, we continue to protest! For the demo to be enjoyable for all participants, take care of the ones and avoid unconscious or oppressive behaviors.